Day 3 of the Facebook Art Challenge! These are my business cards I did a couple years back. I thought (and still think) they were pretty cool and they always seem to get a good reaction. I made 16 of them and I am planning on making another set of 16 this year. As a total narcissist I spent most of my life drawing myself so, yeah. Here you go; enjoy the vanity. POSTCARDS for the WEST COAST! These later inspired the Valentine's Day Cards I recently posted to Facebook and Instagram. If you guys like these let me know! I like doing them. Obviously they are pretty personalized and take a little bit of time, but they are a lot of fun! Maybe you'll get one in the mail from yours truly! Beau Hufford and Rob Dumo both nominated me for the Facebook art challenge so here it goes! I'm going to try and post these from my website which I have sadly been neglecting, but hope to resume posting to starting... NOW! I started this comic a while back randomly while I was out to dinner. I plan to continue updating this idea soon so keep your eyes peeled. Everyone seemed to really dig those Valentine's Day cards I did, so maybe continuing with the whole fruit idea will be fun. Check out the full Sad Pear & Happy Apple Page for some better views. It's also available in the Shop so you can have your very own copy! Thanks guys! Buffalo Small Press Fair is SATURDAY!!! I will be exhibiting and doing live art at this weekend's Buffalo Small Press Book Fair! Come on down, say hi, and see all the new projects I've been hiding away creating at all hours of the night. I will be exhibiting along side my friend and poet Adam Zerlocks. Here is sneak peak at one of the "One Shot" Comics I made. It accompanies the Hellboy Munny toy I made. After this weekend I will be posting all my newest projects little by little up here on my blog and on my website, but if you want to see everything first hand and as soon as possible get your butts downtown. I'll be doing live characters and drawing all day both days. Hopefully I see everyone out this weekend! A client had me customize this Kidrobot Mini Munny to look like Deadpool. I love doing these. Totally hand painted from the ground up along with custom crafted swords and sheaths! A lot of time and work, but always super rewarding hand making a toy. 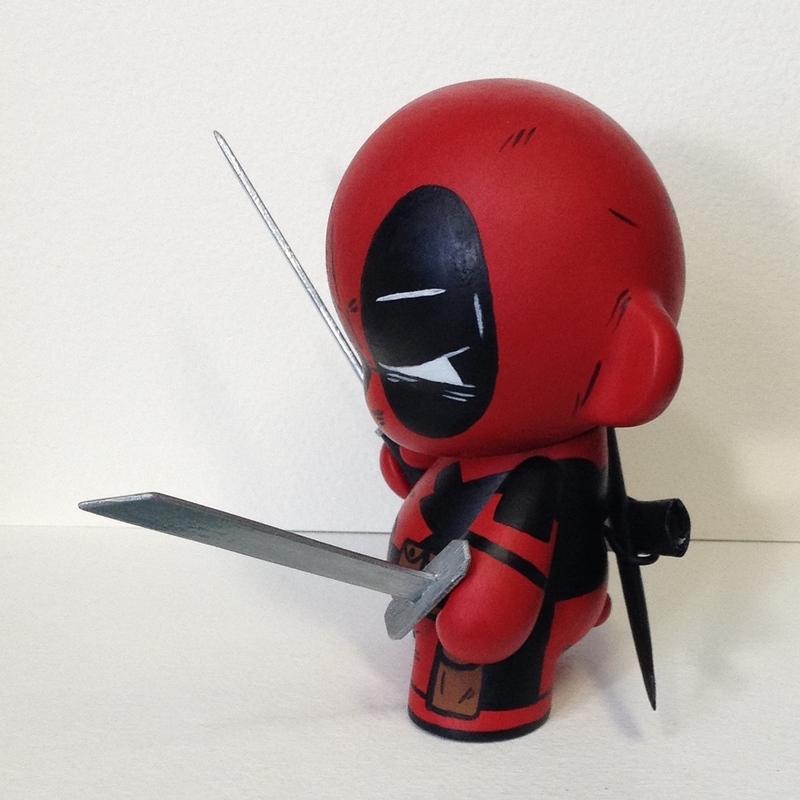 Deadpool also totally fits the predetermined Munny shape perfectly, which is a plus. Always fun to get paid to do ultra nerdy things like paint a plastic doll to look like a comic book superhero. The childhood me would be proud. 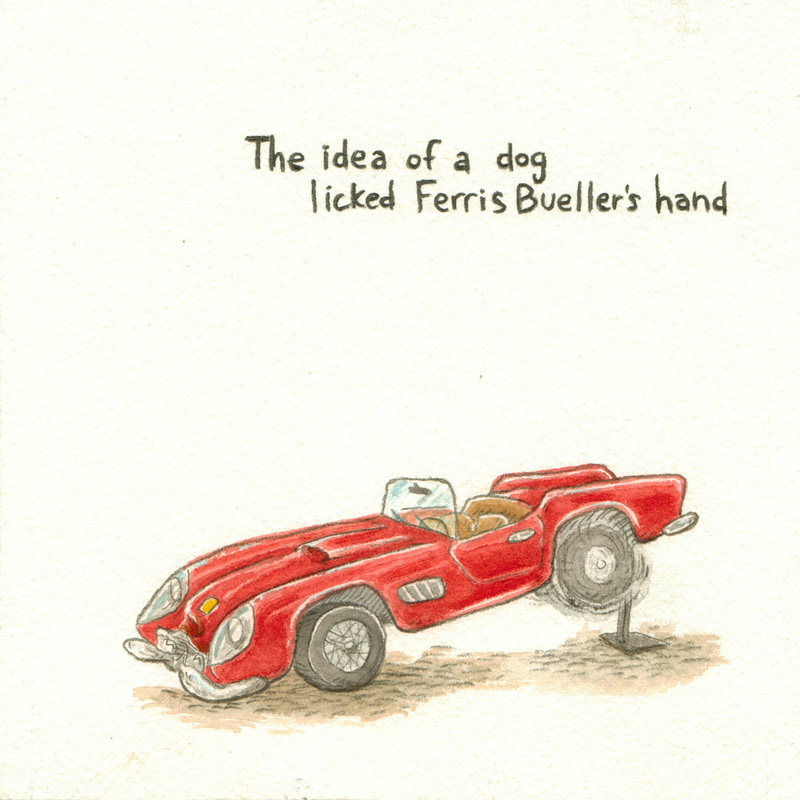 '80s Nostalgic Movie Poetry and Illustrations with u.w. A while back I asked my friend and poet u.w. if he could write a few short poems based on '80s movies and culture for an art show I was involved with out in San Diego. I did some illustrations based on his work and mashed them together. This is what we came up with. I'm going to be printing a small zine with these and some other works in the near future for the Buffalo Small Press Expo.